Follow Louis Vuitton: Connect with community, increase brand loyalty… and sales. Follow Louis Vuitton: Connect with community, increase brand loyalty … and sales. 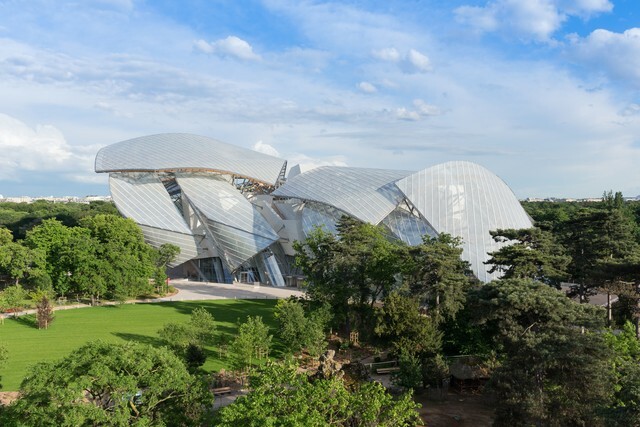 Today I see Louis Vuitton Moet Hennessy (LVMH) is investing more than A$155m in a contemporary art museum and performance space via the Fondation Louis Vuitton. A little grand, I’ll admit but essentially it confirms the adage: connect with your community and your sales will benefit. CEO of LVMH Monseiur Bernard Arnault commented that the new museum in Paris is about sharing its values with the public. It’s certainly saying ‘we’re nice people, you would do well to do business with us’. And if Louis Vuitton sees the benefit of it, a brand that is synonymous with luxurious style and good taste, it would seem a good idea for us all to consider. For instance, I’m delighted to see that Macy’s in the US raised more than US$3m with their Shop for a Cause promotion. 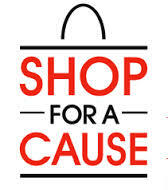 Shop For A Cause is an all-day shopping pass for 25% off regular, sale and clearance merchandise throughout the store. Money raised helps many US charities. As many of you may know, I believe corporate philanthropy is an oxymoron: I’m very keen on the idea that when companies help charities it’s a two-way arrangement – i.e. both sides benefit. After all, its their shareholders’ money that they are contributing so share holders usually want some kind of return on their investment. So I like the Macy’s model. I’d guess LVMH is not just in it for the continuing respect it creates for their brand but for the ongoing sales which may ensue. But we don’t all have the resources of an international brand so I thought I’d share a few ways I’ve come across for companies to give back to the community and build their own sales and brand. That’s also why I started my own retail trading website http://www.joynin.com to assist Australian corporates and NFPs work together to mutual advantage. Here are 7 ways companies with great products to make more sales and support their favourite charity. 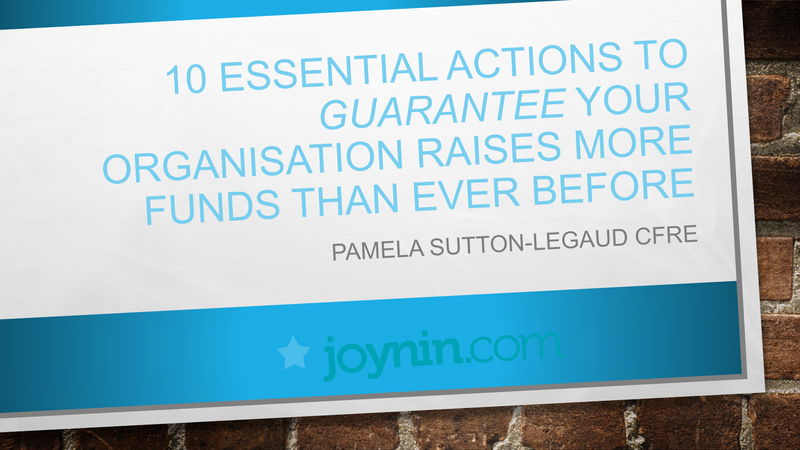 Create an offer that benefits the charity and your brand. In Macy’s case, the charity sells discount vouchers for $5 each . The customer then uses those vouchers in store to obtain the Macy’s discount. Macy’s makes a sale (albeit discounted but they do that presumably with regular seasonal promotions) and the charity gets the $5.00. A good mutual benefit. And doesn’t Macy’s look good!? Balletonet in Australia will donate $5 from every pair of ballet flats purchased in October, to the National Breast Cancer Foundation. All ways to raise funds for charity and increase sales. Offer useful goods in kind to drive PR opportunities. This is a common way companies offer to help charities: by providing goods and services at no or very low cost instead of actual cash. Valuable goods in kind should replace something that the NFP would otherwise have paid for therefore saving them real cash they can apply elsewhere. So most NFPs need assistance with accounting, auditing, IT, advertising. Can you help them cover the costs of these services by providing measurable, reliable assistance that you can then leverage in PR? Skilled volunteering. This is a continuation of providing goods in kind but usually its called pro bono or skilled volunteering. By providing NFPs with skilled resources they would otherwise have to pay for, you do at least two things: You improve the knowledge and acumen of the NFP and you give your own staff members interesting opportunities to expand their business knowledge in new environments. A win:win. Joint promotion to each others’ customers and market segments. When you work with a NFP to promote your business and your relationship with them, you potentially open up new markets or deepen penetration into both of your primary target audience segments. In this way, you attract new potential donors (or visitors, stakeholders) for the NFP and your business grows by selling products to new customers. When you create an attractive offer, both sides benefit. Link to each others’ websites. A simple link and a profile of your charity partnerships on your website linking to theirs is a great way to promote their cause and show how much you care. It can enhance your brand equity. Donate your discount! Don’t like offering discounts? Consider offering your customers the choice of say, 10% off a product which you’ll donate to a worthy cause. Research has shown that consumers respond to this kind of cause related marketing. much more likely to create a mutually beneficial relationship. I do hope this was helpful for you. I am always looking out for ways to help NFP organisations raise much-needed funds in the most economical and transparent way possible. Please do share your thoughts with me. And if you have a favourite NFP organisation (that includes sporting clubs, schools, hospitals etc.) that could use some donations, why not nominate them at www.joynin.com/ Happy shopping! For more on the LVMH story, see Vanessa Friedman‘s story in the New York Times. Thank you #smithstbazaar for my Frog in Chassures #JBTorrilhon print for my office What? You didn’t know frogs wore shoes? It’s my French take on Puss in Boots!